If you have Amazon Alexa in your home, you know that she has many useful applications. A few years ago I was reluctant about the use of this device, but after my family gifted one to me, I have found myself enjoying many of Alexa skills more and more. In fact, after months of experimenting with and testing Amazon Alexa skills, I found ways how it also helps me as a pet owner. Turns out there are tons of Alexa skills – and they continue to add new ones – that can help people become better dog owners (Top Dog Tips tagline? ), so below are some of my favorite Alexa features for dogs and their humans. Before we dig into Alexa skills for dogs and dog owners, for the uninitiated, Alexa is a home virtual assistant created by Amazon.com company, primarily used with Amazon Echo and Amazon Echo Dot devices, and their Fire TV stick and Echo Spot. It performs voice-based commands and interaction; makes to-do lists; plays music, video, podcasts and audiobooks; tells weather, news and sports updates; allows shopping through Amazon and a lot more. This is by far the most useful and my favorite among Alexa skills when it comes to dogs and owners. If you have ever been a parent to an anxious pup then you know that sometimes things can get really tough. You may also know that sometimes all your dog needs is some relaxing music to help them to calm down and refocus. That’s exactly what this “Relax My Dog” Alexa skill does, and it's extremely effective. Once enabled on your device, all you have to do is ask Alexa to “Start Relax My Dog” and she will play relaxing and soothing music that’s specifically designed to calm down your anxious pup (actually, it helps with relaxing people, too). I love that you can use a timer function with this skill so if you know that you’re going to be out of the house for two hours, you can have Alexa play the app for three hours to be sure that it plays for the whole time you are out. They also have a YouTube channel here with more tunes. How does “Relax My Dog” work and why is it effective? Because sounds and music works similar on dogs as it does on humans. In fact, there's actual scientific data proving how calming music for dogs is effective for anxiety. Samantha has also interviewed the creator of “Relax My Dog” sounds and tunes on her podcast episode here. I recommend you listen to understand better how it works, and enable it on your Amazon Alexa device right way – you know you'll need it sooner or later for calming down your dog. This is the best veterinary question-and-answer app among all Alexa skills on the list. There are several others that I'll mention and all of them are unique in their own right, and given how they're free to enable, you can never have too many of these veterinary Alexa skills installed because if one doesn’t have the answer, another might. MyPetDoc is a free app developed by Vet24Seven company (and their site Ask.Vet) and it uses the largest archive of veterinary information to answer questions and concerns you have about your dog’s health. Unlike other pet health Alexa skills, however, this one gives you the opportunity to connect immediately with a licensed veterinarian if you don’t find the right answer you are looking for or if you want more information. Of course, this isn’t a diagnose and treat type of solution since a veterinarian always needs to see your dog firsthand to get an accurate idea of what’s going on, but this is a good idea to start you in the right direction when you want to know what’s wrong, or simply need more guidance on what to do next with your dog's health issue. Basic Dog Training Commands isn’t a replacement for actual dog training classes because real classes offer much more than obedience – think about the socialization, too. That said, this free app is perfect for first time dog owners or those new to dog training. It's a great opportunity to start on the very basic canine obedience commands early and to practice them at home between the real dog training classes. Whether you are researching which dog breed is best for you and your family before bringing a new dog home or whether you just want to learn more about the different dog breeds in general, this skill can help and it's entertaining to listen to. The Dog Breed Quiz app will test your existing knowledge about dogs and different breeds, then teach you things you didn’t yet know about those and other dog breeds from all over the world. It's fascinating to listen to in your free time. Speaking of fascinating and education things to listen to from Alexa, if you’re interested in learning more about the canine species in general, the “Fascinating Dog Facts” skill is a great place to start. Once installed and activated, this Alexa skill will read off randomly selected dog facts that range from the questions you’ve always wanted to be answered to things you never even knew you wanted to know. For example, do you know why your dog curls up when she sleeps? I'm not going to tell you – you'll have to ask your Alexa! The above mentioned Alexa skill on training has some basic training advice, and this one has a set of different ones that perfectly compliments the first one. So if you’re getting into Alexa skills for dog training and looking for more tips, Top Nineteen Dog Training Tips is a quick skill that covers more than those mentioned obedience basics. We hate that this Alexa skill is such a short one (and hope that the app will continue expanding), but even so, it has some useful tips and information that are worth knowing – give it a shot. After you've tried the “Fascinating Dog Facts” skill, you might think you know it all about dogs already. Care to test your knowledge? Then enable Dog Trivia skill – it will test your general dog trivia knowledge to see just how much you know with a series of multiple-choice questions about canines. Our favorite thing about these Alexa skills is that even if you don’t know as much as you thought you did, you still get to learn new dog facts. Dog Challenge is an unusual but fun Alexa skill that helps you to hone your dog knowledge by asking you to guess a dog breed based on a description and that dog’s bark. The game aims to have you guess five dog breeds correctly in a row and if you do, you go down in the Daily Dog Expert Hall of Fame. 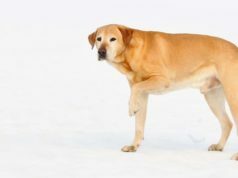 If you don’t… well, you still learn how to better identify dogs and different breeds without seeing them and, who knows, it may even help you to identify the breeds that make up your lovable mixed breed pup, too. Al the Dog Trainer is an Alexa skill developed by a team from Longoriahaus Dog Training (a Houston-based dog training company) that’s designed to work just as though you had a dog trainer right there to help you tackle your dog’s problem behaviors. To use this skill, just ask the Al dog trainer your dog training question and it gets delivered right to him. From here, Al will work on a solution to your training question that works for you and your dog and you can tune in to his live Facebook show every Wednesday at 8 pm. CT. to get the answer to your question. Over time, as Al gets more questions from users of the Al the Dog Trainer skill, the skill will be updated and you will get instant access to many of your questions. Basically, the more people use these Alexa skills and participate in questions, the quicker the database grows, making it a free-to-access instant Q&A from a professional dog trainer. I love this idea because it helps you to contribute to the development of a skill and you get to help other dog owners learn how to tackle problem behaviors that you’ve faced before. We have already headed out of summer by now, but it’s never too early to start brushing up on your dog summer safety tips for next summer. Developed by RichLin, the skill is activated by simply asking Alexa to “open Dog Summer Safety Tips” and she’ll give you some great tips on how you can keep your dog safer when temperatures start to soar again, how to keep a dog cool and protect from the sun, among many other advice. Even if you think you already know everything there is to know about summer safety for dogs, this is a good refresher and a great way to teach others who are less receptive to advice how to be a better dog parent. Just Answer is another one of those question and answer veterinary Alexa skills, and it is my second favorite after “MyPetDog” because it provides on-demand answers from skilled dog specialists and veterinarians instead of making you wait for answers or giving you answers pulled from Wikipedia. Once installed and activated, all you need to do is ask Alexa a question about your dog. Alexa will then scan the skill for the answer to see if it’s already in the database of thousands of professionally answered questions. Don’t get confused thinking that this is a live call-in app or anything of that nature; it’s an archived information app, but it’s still a fabulous one to have on hand when you need answers to dog health related questions. As you can probably guess from the name, unlike some of the other Alexa skills on our list, this feature requires you to have a hardware device (the dog camera) as well as an Alexa powered device at home for the two to work together. If you don’t already have the Furbo HD Treat Tossing Camera, it's one of the best ones out there and they've recently updated it (you can find it here). Samantha has also reviewed the Furbo camera before. Now, once you have the Furbo pet camera already, then the Furbo Dog Camera Skill for Alexa is a great way to expand the camera's features and a perfect way to schedule events throughout the day even when you’re not at home. Once activated, you can ask Alexa to perform actions like “Toss a treat every 30 minutes between 9 am and 5 pm.” You can keep your pup happy while you’re at work and make sure you don’t forget to set up Furbo before you head out – Alexa will do that for you. Capital Pet by Voiceter Pro LLC is an Alexa enabled skill that provides information from the Mohawk Hudson Humane Society. We love these types of Alexa skills because they are designed to teach you more about helping the homeless animal population from one of the oldest and largest animal protection organizations in New York. Whether you want to know more about adopting a pet or about volunteering at an animal shelter, this free app provides you with quick answers from the most reputable source. Dog Days by Fred Van West is a simple Alexa skill that will help you to be a better dog owner by calculating exactly how old your dog is in human years. Many people think that our dogs age at a rate of seven years per human year, but this just isn’t the case. Our dog's actually age at variable rates depending on their size and breed as well as other variables. This app will give you an exact calculation of your dog’s age every time you ask. Once enabled, all you have to do is ask Alexa to “Ask Dog Days how old is my small dog, born on…” and fill in the date with your small dog’s birthday. Of course, you can use medium and large dogs, and some other variables too. In order to get use out of the Link AKC Alexa skills, you have to purchase the actual Link AKC smart dog collar. It's not the best of smart dog collars out there and we've previously compared many others to it; however, it's the only one that can be linked with Alexa skills. If you don’t have the collar yet, you can purchase one here for $99. If you do have the smart dog collar already, all you need to do is install and activate the Alexa skill. From there you can ask a variety of questions pertaining to the data and settings on your dog’s Link AKC collar. For example, you can check on your dog’s daily activity level, find out how many more minutes of activity you need to log with your dog to meet their daily activity goal, you can even find out your dog’s location if your backyard or your house are a little too large or if your mobility is limited. The last on our list of useful Alexa skills for dogs and dog owners is another Q&A app that's slightly different. In my previous articles on Top Dog Tips, I've mentioned before that we’re not huge fans of major dog food manufacturers that use bulk manufacturing processes (Purina being one of them), but their Alexa skill is actually loaded with some fantastic and useful information, and I believe it's worth installing. Developed by Purina company that you already know, once enabled, this Alexa skill will answer questions about all kinds of dog breeds whether you want to know which dog breeds are best with children, which dogs are light shedders or which dogs do best living in apartments. It's similar to a lot of content we publish here on the site, and we love these types of dog Alexa skills especially for families preparing to adopt a new dog and for anyone doing their due diligence before bringing their new dog home.